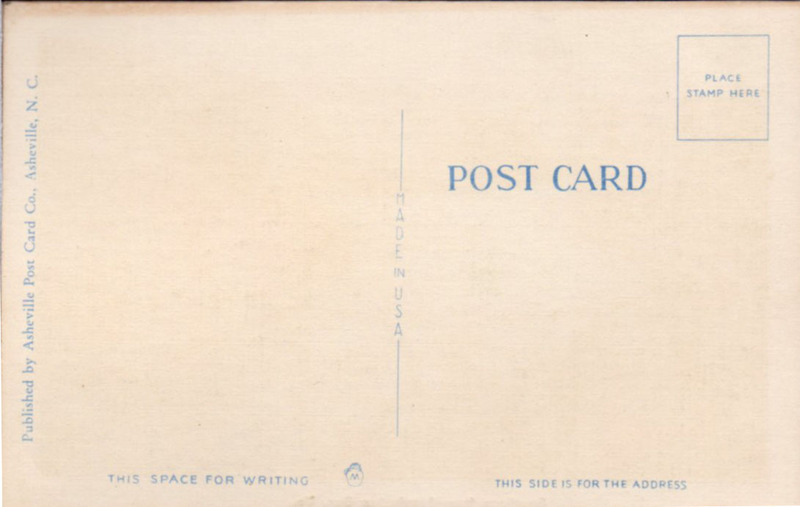 “Grts”, in post card lingo, often refers to a card with “Greetings from…” on the front. The picture on the front of this card is some generic view of a river with a train steaming along it. When I looked, the railroad in Pennington doesn’t get too close to the Powell River, anyway. The overprint just ties it to Pennington, for tourism’s sake, you know. I would date this card to the late 40s, early 50s. 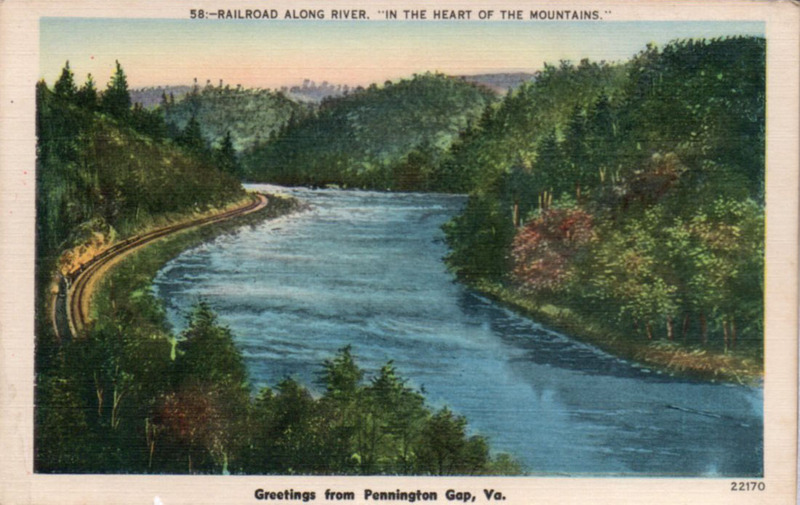 Posted in Bob Lawrence Photography, Existing photo processed by Bob Lawrence and tagged Asheville Post Card Company, grts post card, Pennington Gap VA, Powell River, scenic postcard. Bookmark the permalink.